Yamuna is one of the most sacred rivers and is revered by for all the followers of Sanatan Dharma (Hinduism). Despite its exalted religious status, the river is facing severe contamination. 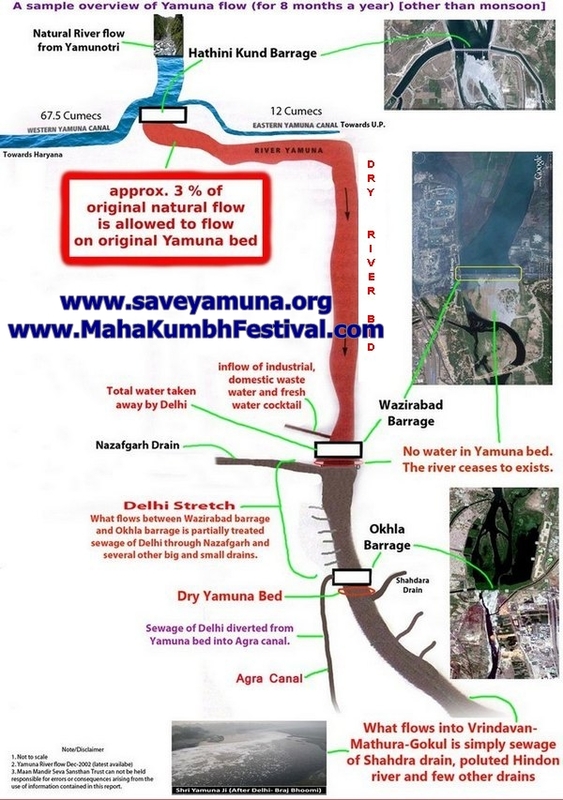 The Yamuna in Delhi receives no fresh water because of diversion of the water to several canals at Hathini Kund dam. The river has only sewage and effluents which flows across the city. The picture below clearly depicts the stoppage of natural water at Hathini Kund damn and the diversion into various canals. The problem needs strong call of action and stringent approach to save the river from the noxious city sewage. 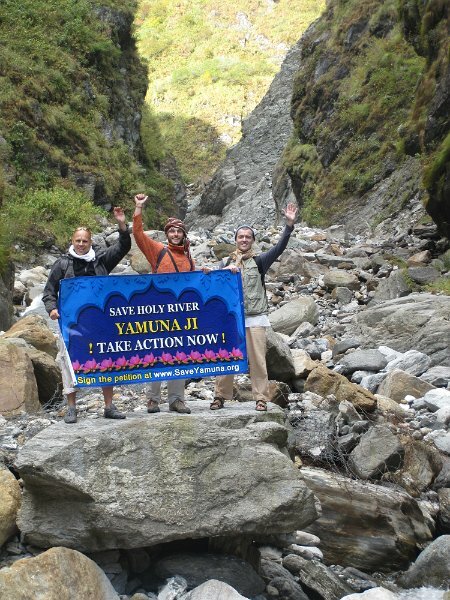 Please visit this website for more information and sign petition for saving River Yamuna. The following picture captures the current state of the sacred river. The readers are sincerely requested to sign the aforementioned petition and promote the cause further with family and friends.